Is there really DUI Auto Insurance? Go to the auto insurance learning center to learn about discounts, coverages, and options for individuals, businesses and students. 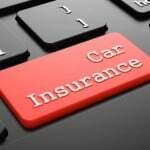 If you are looking for commercial or business auto insurance, click the button below. 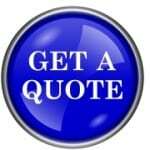 Use this page to get a quote for personal auto insurance for your or your family. We use our proprietary system to shop your insurance to find you discounts and great coverage options. You may have unique needs that require insurance that provides very specific coverages. Perhaps you need coverage for business usage because you drive for work or perhaps you frequently rent trailers to tow your watercraft. We’ve got options for you. That’s why we are here, to help you. Whether you are shopping for auto insurance for you first car or you are looking to bundle you home, auto, rental, motorcycle and umbrella policy, our team is ready to help you. If you need an SR22 Filing, we can help. An SR-22 Filing is required to lift the suspension on your drivers license following a DUI, DWI, OUI, or OVWI conviction. An SR-22 Filing is a form issued by an insurance company, which removes a suspension order placed by the DMV on your driving privilege. The filing provides a guarantee to the Department of Motor Vehicles that an insurance company has issued at least minimum liability coverage for the person making that filing; AND – that the insurance company will notify the DMV should the insurance ever lapse for any reason. Is there a “DUI Auto Insurance” or “High Risk Driver Insurance” What is DUI Insurance or DWI Insurance? Is there really an SR22 insurance or FR44 insurance? So what is this insurance – and who needs it? In short, it means that you need insurance with a carrier that will allow you to have a DUI on your driving record and who can file an SR22 or FR44. Stratum Insurance Agency LLC can help with this insurance across the country. When you have a DUI or similar violation on your driving record, more formally known as a motor vehicle report or MVR, you need an insurance carrier that will file an SR22 or FR44 for you. Since many insurance carriers will not accept drivers with DUIs or alcohol-related citations, in some cases for 10 years, our independent insurance agency works with multiple insurance carriers to service the needs of drivers with tickets and accidents. Many of the insurance carriers for which Stratum Insurance Agency LLC is an agent or broker will accept drivers with multiple tickets, DUIs, suspended licenses, and even foreign licenses. Coverage options vary by location and state and a member of our team can tell you what is available.